Today was the first day we got to serve at the clinic, the orphanage, & the carpentry. Wow! Stories of God showing up, guiding, providing, and more. And the eye-opening, soul- shaking experiences of seeing the poverty leave us in tears. We are so dependent on God here. We're learning to pray, to flex, and to serve. We're releasing our "rights" on a regular basis. And this entire team is nothing short of a joy to serve with. Thank God for each of them!! 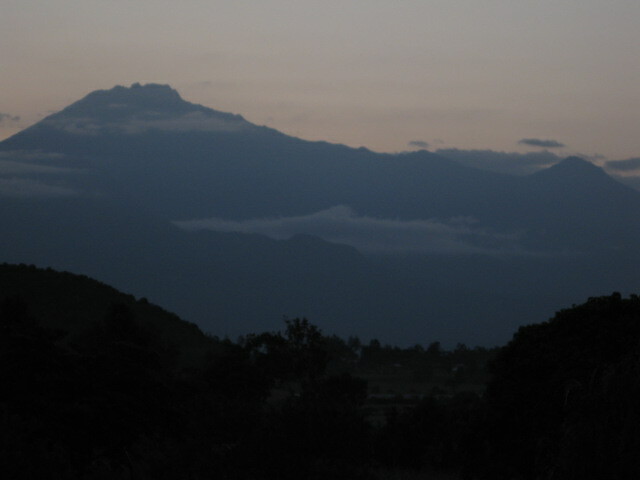 We're still hoping to see Kilimanjaro before we leave…just need clear skies in the other direction. Posted on July 8, 2010, in Uncategorized. Bookmark the permalink. Leave a comment.